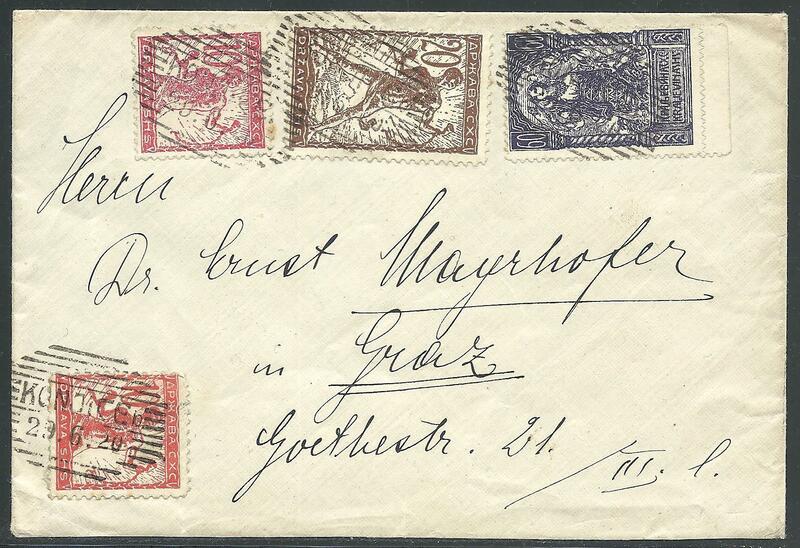 ,11 (2), 13, 29,Cover franked with 1 K., sent from Konjice (29. 6. 20) to Graz.